Cardiff City complete the signing of midfielder Victor Camarasa on a season-long loan from Real Betis. Queens Park Rangers are placed under a transfer embargo for the January 2019 window and made to pay a £42m settlement after breaching Financial Fair Play regulations. Neil Warnock targeting "a couple of loan signings"
Neil Warnock intends to recruit "a couple of loan signings" to complete his summer transfer business ahead of Cardiff City's 2018-19 campaign. Cardiff City reportedly have a bid accepted for Derby County's Craig Bryson. Cardiff City goalkeeper Neil Etheridge signs a new contract with the club. 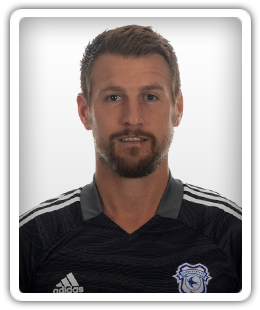 New Cardiff City goalkeeper Alex Smithies is looking forward to challenging Neil Etheridge for the number one spot after joining from Queens Park Rangers. Bristol City star Bobby Reid reportedly prepares to undergo a medical with Cardiff City. Cardiff City close to signing Queens Park Rangers goalkeeper Alex Smithies? Cardiff City are reportedly close to the signing of Queens Park Rangers goalkeeper Alex Smithies. A Middlesbrough fan is arrested for allegedly urinating in Queens Park Rangers goalkeeper Alex Smithies's water bottle. Queens Park Rangers secure a dramatic late 2-2 draw with Brentford in Monday night's West London derby. Nuno Espirito Santo names an unchanged Wolverhampton Wanderers starting XI for the trip to Queens Park Rangers. Fulham survive a frantic Queens Park Rangers fightback and run out 2-1 winners in Friday night's Championship clash at Loftus Road. Glenn Murray and Sebastien Pocognoli register for Brighton & Hove Albion in their 2-1 win against Queens Park Rangers, moving them one game closer to the top flight. Derby County beat Queens Park Rangers 1-0 at Pride Park to move within six points of the Championship playoff places, courtesy of a goal from Matej Vydra. Queens Park Rangers goalkeeper Alex Smithies signs a new deal keeping him at the club until 2020. Brighton & Hove Albion go top of the Championship table with a 3-0 victory over Queens Park Rangers. Josh Clarke and Romaine Sawyers find the net either side of half time to help Brentford to a 2-0 win over Queens Park Rangers at Loftus Road. Middlesbrough return to second position in the Championship courtesy of a 3-2 victory at Queens Park Rangers on Friday night. Queens Park Rangers' new signing Conor Washington is named on the bench for their Championship clash against Wolves. Queens Park Rangers recall Robert Green and Alejandro Faurlin for their trip to Hull City in the Championship. QPR gain a valuable point against near-bottom side Blackburn Rovers in their Championship clash at Loftus Road. Goalkeeper Alex Smithies makes his full Championship debut for Queens Park Rangers tonight against Blackburn Rovers. Sports Mole previews Wednesday's Championship clash between Queens Park Rangers and Blackburn Rovers at Loftus Road. Sports Mole previews the Championship clash between Charlton Athletic and Huddersfield Town at The Valley. Huddersfield Town secure the 28-day loan signing of Aston Villa goalkeeper Jed Steer. Queens Park Rangers weighing up fresh Daniel Bentley bid? Southend United goalkeeper Daniel Bentley is to be the subject of a fourth Queens Park Rangers bid, according to a report. Sports Mole looks ahead to the Championship encounter between Huddersfield Town and Queens Park Rangers on Saturday. QPR manager Chris Ramsey names the same starting XI which came from 2-0 down to win 3-2 at Wolves in midweek for their clash with Rotherham. Goalkeeper Alex Smithies signs a three-year contract with Queens Park Rangers after an agreement was reached with Huddersfield Town for his transfer. Sports Mole looks forward to Saturday's Championship meeting between Fulham and Huddersfield Town. Sports Mole previews the Championship encounter between Queens Park Rangers and Rotherham United.